Progress in the retinal stem cell field is hampered by a lack of cell based reporter tools to monitor development. Towards this goal we are developing gene-editing tools to tag fluorescent reporters to genes that are expressed int eh retina. Such tools will allow us to monitor the presence / absence of photoreceptor and ganglion cells which will in turn facilitate studies of eye development and disease. Using genetically matched CRISPR-Cas9 gene edited cells. We are currently developing models for retinal degeneration by targeting genes known to be involved in retinal degeneration. We are actively screening small molecule drugs to identify factors that increase the generation of retinal cells in 3D “mini-retinas” and 2D dissociated monolayer cultures. Many species, including amphibians, fish and birds, are capable of remarkable levels of repair. Unfortunately, this repair capability seems to have been lost, or dramatically reduced, in higher mammals. A holy-grail of vision restoration is to tap into this endogenous repair in human cells. 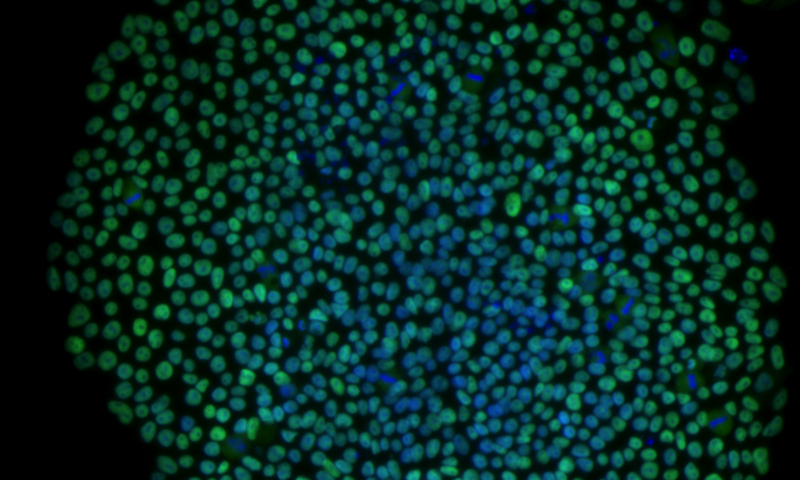 Our lab is exploring possible strategies to do this using human stem cell derived 3D retinas grown in vitro.